Black Dabinett Cider - Apple Tree £12.75 - Cider Apples - Bittersweet Apple Trees and Fruit Trees For Sale. Buy at competitive prices with wholesale discounts. 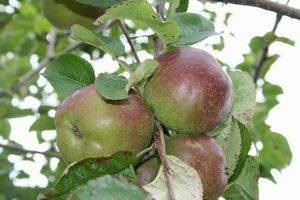 First recorded as Tommy Rodford in 1897, this late bittersweet cider apple hails from Kingsbury Episocpi in central Somerset. It is a more robust version of the true Dabinett, probably a seedling from that apple. It is a distinctive and handsome fruit with a dark purple flush. 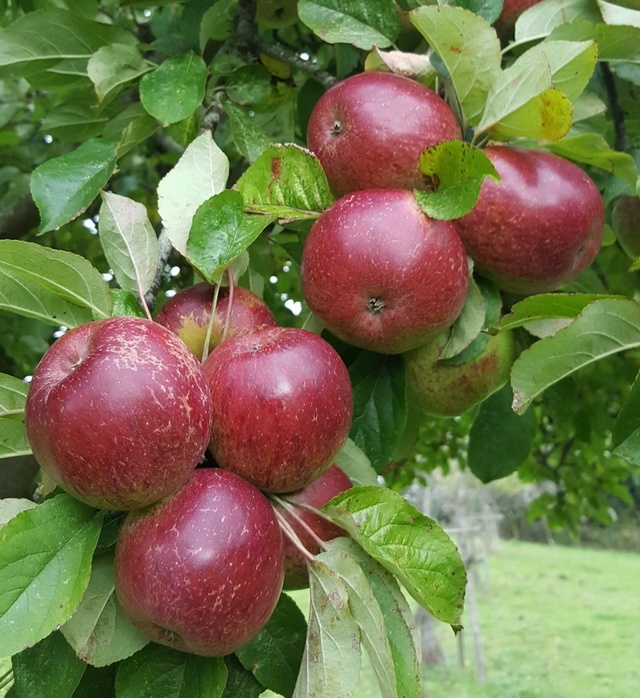 Black Dabinett trees are more vigorous and reliable croppers than the true Dabinett and makes an excellent vintage quality full flavoured cider, to be blended or used alone. It is rather late maturing, fruit is not ready for picking until well in to November.